Booker T. & the M.G. 's were an instrumental soul band popular in the 1960s and 70s associated with Stax Records in the subgenre of Memphis soul. Best known for their 1962 hit instrumental "Green Onions," they were also key members of the house band for many Stax/Volt stars, such as Otis Redding, Sam & Dave, and Wilson Pickett, arranging, sometimes writing, and providing the instrumental backing for many classic R & B hits. Original members of the group were Booker T. Jones (organ, piano), Steve Cropper (guitar), Lewie Steinberg (bass), and Al Jackson Jr. (drums). Donald "Duck" Dunn replaced Steinberg on bass in 1965. Keyboardist Isaac Hayes often joined the band in its studio work. In 1967, the band toured widely with the Stax stars and famously performed with Otis Redding and the Monterey Pop Festival. Other hits for the group included "Hip Hug-Her," "Time is Tight," and an instrumental version of The Rascals' "Groovin'." Following the 1975 death of Al Jackson Jr., drummers Willie Hall, Anton Fig, Steve Jordan, and Steve Potts have joined the band for later reunion efforts. 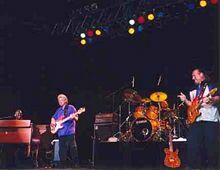 Two of the group's members, Steve Cropper and Duck Dunn, went on to form the instrumental nucleus of the Blues Brothers Band, and the band has often been invited to back top stars in various high-visibility performances. As originators of the unique Stax sound with its raw, edgy R & B flavor, Booker T. & the M.G. 's were one of the most imitated and influential groups of their era. The band was inducted into the Rock and Roll Hall of Fame in 1992 and received the Grammy Lifetime Achievement Award in 2007. In the summer of 1962, 17-year-old keyboardist Booker T. Jones, 21-old guitarist Steve Cropper, bass-player Lewie Steinberg, and drummer Al Jackson Jr., were in the Stax studio in Memphis to back up former Sun Records star Billy Lee Riley. During a break, the four started playing around with a bluesy organ song reminiscent of Ray Charles. Jim Stewart, the president of Stax Records, liked what he heard and hit the "record" button. After Stewart decided to release the recording, Cropper remembered a riff that Jones had come up with at an earlier session, and before long, they had a second song. Stewart wanted the first song, "Behave Yourself," as the A-side of the record with the second song as the B-side. Cropper and radio disc jockeys thought otherwise. Cropper's view prevailed, and soon Stax released Booker T. & the M.G. 's' "Green Onions" backed with "Behave Yourself." The exact origin of the band's name is a matter of dispute. Jones has stated that it was Jackson who named the group after its youngest member, while "M.G." is supposed by many to refer to "Memphis Group," not the sports car of the same name. However, musician and record producer Chips Moman, then working with Stax, claims that they were named after his car, and that the label that Stax's publicity department declared that "M.G." stood for "Memphis Group" only after he left the label. Tending to confirm this story is the fact that Moman had played with Jones in an earlier Stax backing group named the Triumphs, named after his car. "Green Onions" went to number one on the R&B charts and number three on the pop charts. Its "hook" is now considered one of the most important riffs in rock history. It is featured in many movies, trailers, and television shows, including a pivotal scene in the motion picture American Graffiti. The group soon released an all-instrumental album entitled Green Onions. 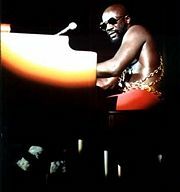 Isaac Hayes often filled in for Booker T. Jones and sometimes joined the band as a second keyboard player in studio sessions. Booker T. & The M.G. 's continued to issue instrumental singles and albums throughout the 1960s. However, the bulk of the work done by the musicians in the band during this era was as the core of the de facto house band at Stax Records. They are considered to have been a defining force in soul music—especially "Southern Soul"—where "the groove" was most important. Members of Booker T. & The M.G. 's, often performing as a unit, performed as the studio backing band for Otis Redding, Sam & Dave, Albert King, Carla Thomas, Johnnie Taylor, Eddie Floyd, Rufus Thomas, The Staple Singers, Wilson Pickett, and many others in the 60s. They played on and produced hundreds of records, including classics like Walking the Dog, Hold On (I'm Comin'), Soul Man, I've Been Loving You Too Long (To Stop Now), Midnight Hour, and Try a Little Tenderness. Cropper co-wrote "Knock On Wood" with Eddie Floyd, "In the Midnight Hour" with Wilson Pickett, and "(Sittin' On) The Dock of the Bay" with Otis Redding, among other songs. Because Jones was studying music full time, Stax writer/producer Isaac Hayes often stepped in on the occasions when Jones was unavailable for session work. On several sessions Jones and Hayes played together, with one playing organ and the other on piano. However, Jones played on all the records credited to "Booker T. & The M.G. 's," and Hayes was never an official member of the group. Bassist Lewie Steinberg recorded with the band through 1965, including their second album 1965's Soul Dressing. 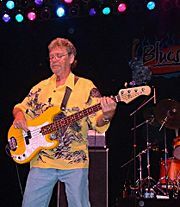 Donald "Duck" Dunn, already part of Stax's house band, became the group's full-time bassist in the same year. Members of Booker T. & The M.G. 's returned to the top 40 with the 1967 instrumental "Hip Hug-Her," their first single released with Jones on a Hammond B-3 organ, the instrument he is most known. They also had a substantial hit with their cover of The Rascals' "Groovin'." Also in 1967, they joined the Stax European tour, dubbed "Hit the Road, Stax!" They performed their own songs and also backed up the label's stars. In June of that year, they, along with Otis Redding, appeared at the Monterey Pop Festival, together with performers like Jimi Hendrix, Janis Joplin, The Who, and Jefferson Airplane. They were later invited to play Woodstock, but drummer Al Jackson was worried about the helicopter needed to deliver them to the site, and so they decided not to play. The Hip Hug-Her album was followed by Doin' Our Thing and Soul Limbo. The title song "Soul Limbo" was a hit and was later used by the BBC as the theme for Test Match Special cricket coverage on both TV and radio. The band's version of "Hang 'em High" was also a hit. In 1969, Booker T. & The M.G. 's scored their second-biggest hit with "Time is Tight," from the soundtrack to the movie Up Tight! scored by Jones, which reached number six on the Billboard pop charts. By 1969, Dunn and Jones had become deeply impressed by The Beatles, especially their work on Abbey Road. The appreciation was mutual, as John Lennon in particular was a huge Stax fan and was quoted as saying he always wanted to write an instrumental for the M.G.'s. In 1970, Lennon's wish was granted, in a manner of speaking, when the group recorded the album McLemore Avenue, named for the street where Stax was located, just as Abbey Road was the address of The Beatles' studio. They covered 13 of Abbey Road's songs, condensing 12 of them into three medleys, plus a cover version of George Harrison's "Something." They followed up in 1971 with what would be their last Stax single, "Melting Pot," and their last Stax album, by the same name. The song has often been sampled by rappers and techno DJs. Before the Melting Pot album was recorded, Booker T. Jones had already left Stax, and part of the album was recorded in New York City, not the Stax studio. Cropper had also become unhappy with business affairs at Stax and soon left, while Dunn and Jackson remained on and did session and production work. Jackson played on and wrote many of Al Green's biggest hits. The 1973 album entitled The MG's featured guitarist Bobby Manuel and B-3 organ phenom Carson Whitsett replacing Cropper and Jones, respectively. The album was not commercially successful, although it was critically well-received. Whitsett would go on to back up Bobby "Blue" Bland, Little Milton, and Kathy Mattea, and have his songs recorded by the likes of Johnnie Taylor, Solomon Burke, B. B. King, Etta James, Conway Twitty, and Lorrie Morgan. Bobby Manuel would become a staple of the Memphis music scene and later founded HighStacks Records in a tribute to Stax and Hi Records. The MG's project led to band members feeling that there might be interest in a full-fledged reunion. After a promising meeting in late September 1975 the band decided to devote three years to what would be renamed Booker T. Jones & the Memphis Group. Nine days later (October 1), Al Jackson was murdered in his home. Cropper would remember him as "the greatest drummer to ever walk the earth." The remaining three members eventually regrouped under the classic name, Booker T. & The MGs. Bringing in drummer Willie Hall from Al Green's backing band as an official member, the band recorded the album Universal Language for Asylum Records in 1977. The album did not succeed, and the band once again dissolved. 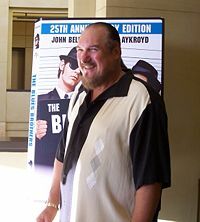 Steve Cropper poses in front of a Blues Brothers display in 2007. Over the next decade, Cropper, Dunn, and Jones remained very active, producing, writing, and playing with other artists. All three joined The Band's drummer Levon Helm as part of his RCO All-Stars. In 1977, Cropper and Dunn famously became part of The Blues Brothers Band, performing on the number one album Briefcase Full of Blues. Cropper and Dunn, along with drummer Willie Hall, also appeared in the 1980 movie The Blues Brothers starring Dan Aykroyd and John Belushi. They later reprized their roles in Blues Brothers 2000. In 1986, former co-owner of Atlantic Records Jerry Wexler asked the group to act as the house band for Atlantic Records' fortieth anniversary celebration. The night before the gig, Booker T. Jones came down with food poisoning, so Paul Shaffer stepped in at the last minute. However, rehearsals had gone so well that the group decided to play some dates together. Over the next few years, Booker T. & The MGs played together occasionally. In 1992, Bob Dylan asked them to again serve as his house band at the concert commemorating his 30 years in the music business. There, they backed up Dylan, Stevie Wonder, Johnny Cash, Eric Clapton, and Pearl Jam's Eddie Vedder. While there, Neil Young asked the group to back him up on his world tour the following year. In 1994, the group recorded its first album in 17 years, called That's The Way It Should Be with Steve Jordan as drummer on most tracks. In 1995, when the Rock and Roll Hall Of Fame opened its museum in Cleveland, Ohio, the M.G. 's served as the house band for the opening ceremonies, playing behind Aretha Franklin, Sam Moore, John Fogerty, and Al Green, as well as performing themselves. Jones, Dunn, and Al Jackson Jr.'s cousin, drummer Steve Potts, backed Neil Young on his 2002 album Are You Passionate?. Booker T. & The M.G. 's, usually with Potts on drums, still play select dates. In early 2008, they toured with Australian Singer Guy Sebastian in Australia on a sold-out tour. In 1992, Booker T. & The M.G. 's were inducted into the Rock and Roll Hall of Fame. Cropper, along with Isaac Hayes and Sam Moore, welcomed Stax president Jim Stewart into the Rock and Roll Hall of Fame in 2002. Cropper and Hayes were later inducted in The Songwriters Hall of Fame. Booker T. & The M.G. 's are considered among the most influential stylists in modern American music. In 2004, Rolling Stone Magazine ranked the group number 93 on its list of the 100 Greatest Artists of All Time, and in 2007, the group received the Grammy Lifetime Achievement Award. 08/1962 Green Onions Behave Yourself Volt V-102 #3 #1 Also issued as Stax S-127. See also 1979 UK reissue. 02/1963 Home Grown Burnt Biscuits Stax S-134 Also issued with "Big Train" as B-side. 12/1963 Mo' Onions Fannie Mae Stax S-142 #97 * Also issued with "Tic-Tac-Toe" as B-side. 02/1969 Time Is Tight Johnny, I Love You Stax STA-0028 #6 #7 #4 "Johnny I Love You" features vocals by Booker T. Jones. 12/1979 Green Onions #7 UK-only reissue of 1962 hit. Through a period between late 1963 and early 1965, Billboard Magazine did not publish an R&B singles chart. Bowman, Rob. 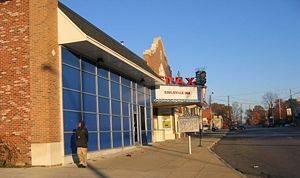 Soulsville USA: The Story of Stax Records. New York: Schirmer Trade Books, 2003. ISBN 9780825672842. Guralnick, Peter. Sweet Soul Music. Back Bay Books, 1999. ISBN 9780316332736. The Rolling Stone Encyclopedia of Rock & Roll. Fireside, 2001. ISBN 9780743201209. History of "Booker T. and the M.G. 's"
This page was last modified on 17 June 2016, at 16:02.